Residents expressed frustration over the proposed relocation of various maintenance facilities from 219 Western Avenue to 28 Travis Street, asserting that such a facility will adversely affect the surrounding neighborhood and community. 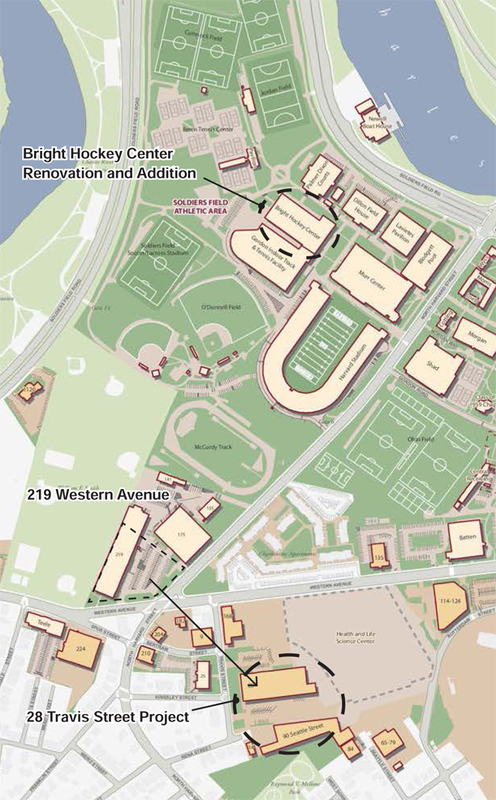 Residents at a Harvard Allston Task force community meeting Wednesday night expressed frustration and concern over the University’s new Institutional Master Plan Notification Form (IMPNF), filed in October. They called for Harvard to honor existing commitments to community projects before breaking ground on its proposed project at Barry’s Corner, a mixed-use, residential-and-retail complex located at the intersection of North Harvard Street and Western Avenue in the North Allston neighborhood. In a January 22 document filed with the Boston Redevelopment Authority (BRA), task force members opposed the University’s request to fast-track the Barry’s Corner residential and retail project—slated for groundbreaking this year—because of the “many significant issues that are unresolved” and “Harvard’s piecemeal approach” to community planning. The document asked Harvard to address questions about retail and cultural amenities, transportation (including residents’ use of the Harvard Shuttle service), parking, housing affordability, public-space planning, as well as a promised “transformative community project,” before moving forward with construction. The meeting began with an announcement by associate vice president for public affairs and communications Kevin Casey that the University plans to work with architect Stefan Behnisch on the 500,000- to 700,000-square-foot Health and Life Sciences Center, slated for groundbreaking in 2014. (Behnisch had worked on the building under construction at the site until its shutdown in 2010 because of the University's financial constraints. Previous versions of his work on the science complex as then designed can be found here and here; it is likely to be redesigned.) Casey also announced that bioengineering and engineering will constitute larger “components of this facility,” which he said would be a hub of science and innovation in the community. Some residents nevertheless expressed frustration at the timing of the building, calling for the BRA to halt construction on other projects until the Science Center is finished: “I don’t understand why the BRA is even entertaining further development by Harvard University on Harvard-owned land until you finish that science complex,” said one resident.